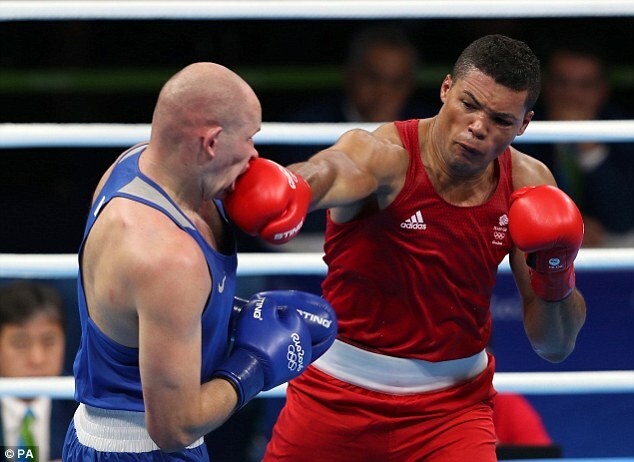 Joe Joyce is going for super-heavyweight gold on Sunday night and it will take a bulldozer to stop him following Anthony Joshua to the Olympic title. 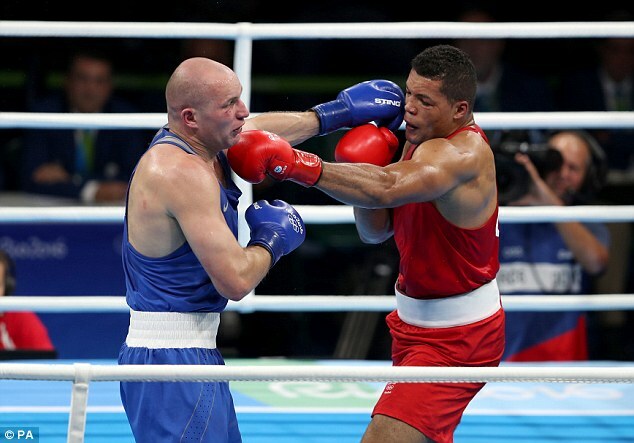 Big Joe came back from losing the first round to bludgeon Kazakh Ivan Dycho to the brink of semi final collapse. Joyce took the second and third by crushing margins to leave no room for doubt or duplicity in the eyes of the judges. This corner of Rio became the land of the giants for this on. Joshua had confidently predicted victory for the London compatriot who is most frequently compared to himself and was here in hope of seeing that prophecy fulfilled. AJ will be rooting for JJ in Sunday’s final. 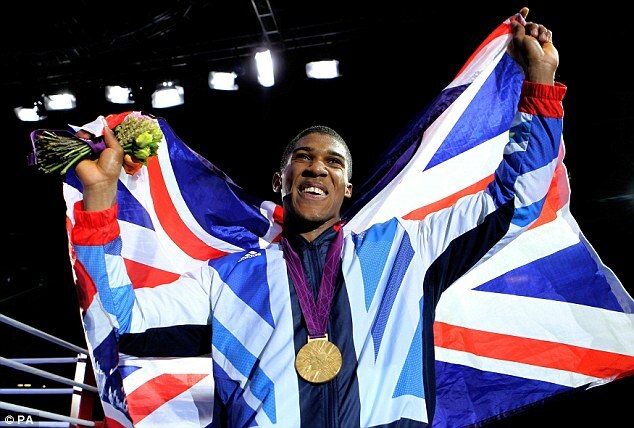 Although Joshua is aware that the French world super-heavyweight champion will present a more awkward challenge. 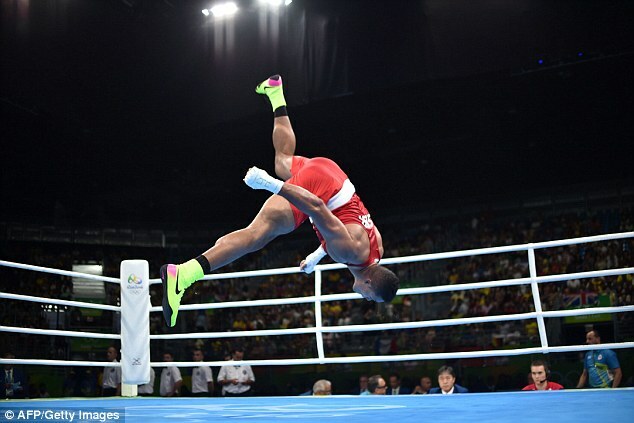 Tony Yoka was adjudged a slightly controversial winner when he was given the decision over Joyce in the last world championships. 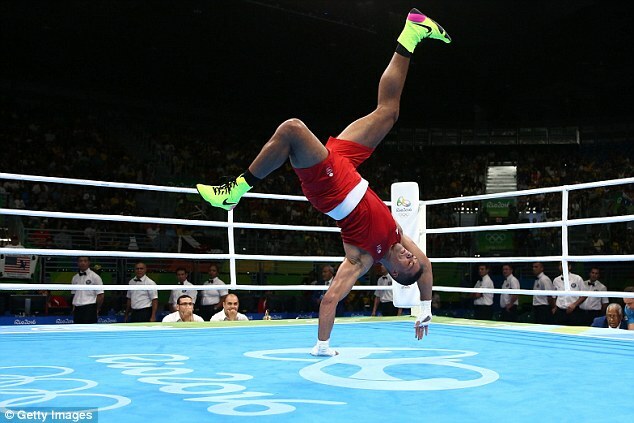 He does not impress the purists but he is difficult to hit and chooses his punches intelligently and has fast hands. He also has a resilient chin but he will need that if Joyce gets through with his bombs this time. 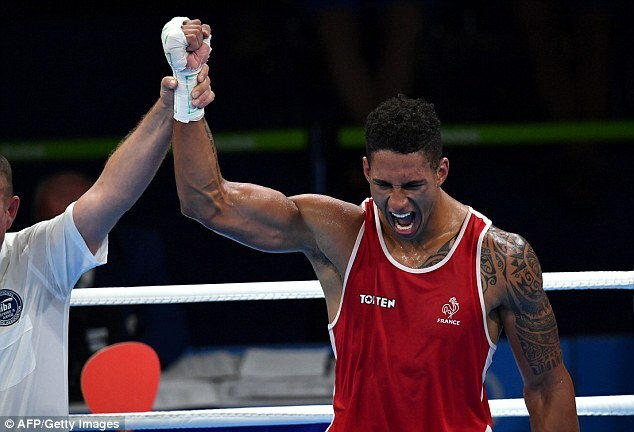 Yoka was close to tears of joy after watching his partner Estelle Mossely win the women’s lightweight final which ended the day’s boxing and is now going for family golden double. 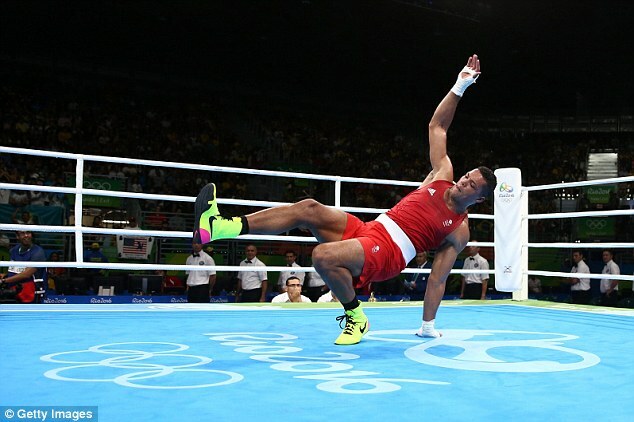 But he twisted his ankle nastily when slipping in the third round of his semi-final win over Croatia’s Filip Hrgovic. He has has only two days for repairs and Joyce, no matter what, keeps coming forward. He did exactly that from the first bell against Dycho, though not to immediate effect. The Kazakh picked him off as he came in, until Joyce started to find his range. But he did so too late to prevent the loss of the first round. That was Joyce’s cue to turn up the power. Not only did he get back on level terms on the cards but he had Dycho reeling and in trouble. Joyce unleashed sequences of heavy blows in the last. Dycho was barely on his feet to hear the decision against him. Even Big Joe’s mother was startled when her son suddenly decided to turn his back on training for an Olympic future as a triple jumper – or perhaps an England rugby career – and decided to box. Most of his opponents are wishing he had never walked into that gym near the family home in Putney where his coach Sid is the brother of new London mayor Sadiq Khan. As a late starter in the ring he was in a hurry to put his opponents away quickly and thereby gain the momentum in time to turn professional as he turned 30, which he has just done. That contract will be all the more enriching as a consequence of his Olympic exploits and the attendant publicity. Even if he doesn’t turn silver into gold in the final.